t the dawn of the Baroque revolution, song, stage action, dance and instrumental music combine in perfect harmony. Since the 'Rappresentatione' is fully staged, in three acts with a spoken prologue, it can be considered to be the first surviving opera as such. 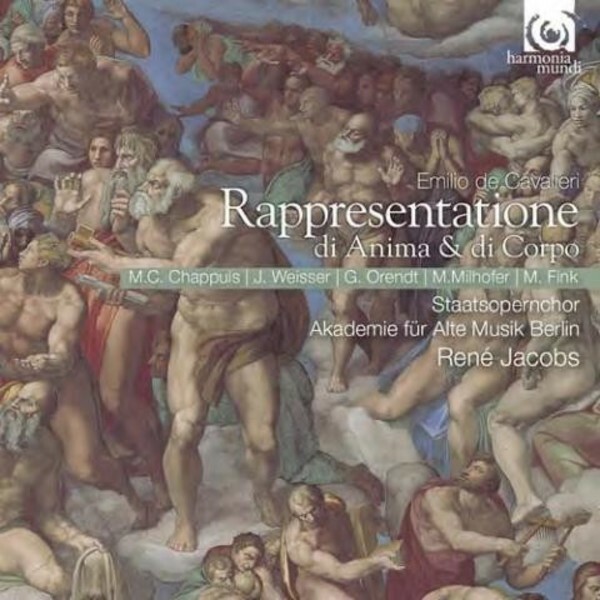 Emilio de� Cavalieri already had an eventful artistic life behind him when he presented the 'Rappresentatione' in February 1600 at the Oratorio della Vallicella in Rome. He was born around 1550 into a wealthy aristocratic Roman family, the son of Tommaso de� Cavalieri, Michelangelo�s closest friend and who had easy access to the Vatican as an adviser in artistic matters. It is there that Emilio must have got to know Ferdinando de� Medici, the sixth son of the Grand Duke of Tuscany. When Ferdinando, after the death of his older brothers, doffed the cardinal�s purple to become Grand Duke of Tuscany, he took Cavalieri with him to Florence and appointed him intendant of court festivities. Cavalieri was responsible for the famous musical intermedi to 'La Pellegrina' of 1589, staged for the Grand Duke�s marriage, regarded as the most important forerunner of opera. avalieri himself scarcely had an opportunity to contribute to the further development of musical drama. Almost exactly two years after the performance of the Rappresentatione, he died in his native city. A memorial tablet in S Maria in Aracoeli still reminds visitors today that he lies buried in this church on the Capitol. Booklet includes �Let every thing that hath breath . . .�, notes on the work and on performance practice by Ren� Jacobs, and full libretto.